On behalf of my wife and I, I would like to say thank you, from start to finish the process was effortless. I have passed on your number to a few people already! I’m am very happy with my new shower room done by the boys a Rhombus Bathrooms. They’re real pro’s but also have that personal touch and definitely deliver a quality product. I have already recommended Rhombus Bathrooms to others. 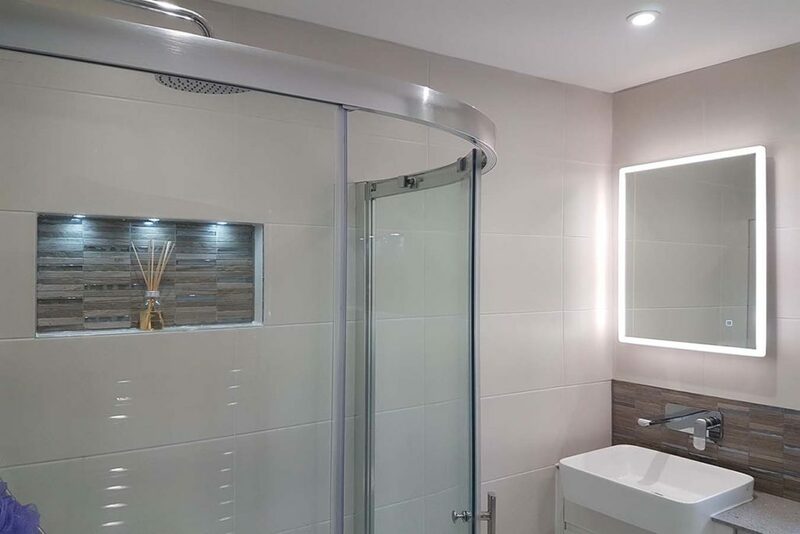 Rhombus Bathroom Fitting is a specialist, friendly and reliable, bathroom and wet room fitting service based in Romsey, Hampshire. 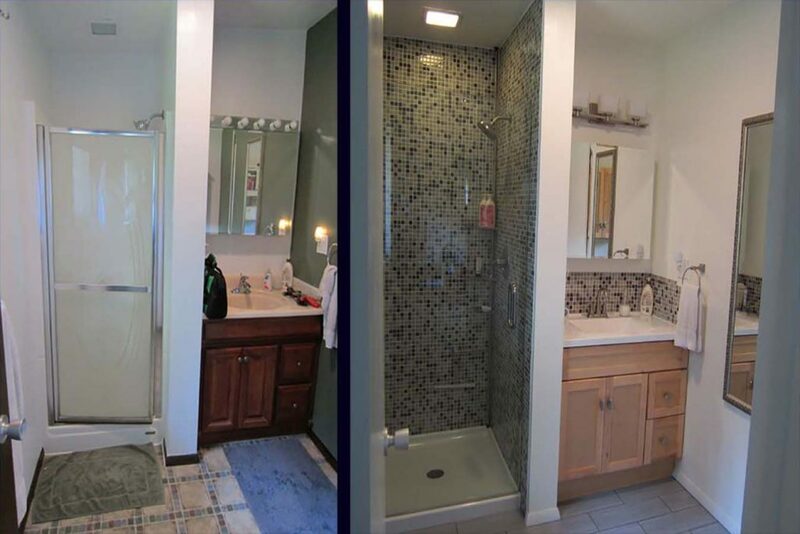 There’s nothing we love more than bringing your dream bathroom ideas to life! The companies goal in business is to provide both a superior customer experience and excellent value for money. We’ll also provide you with essential advise at time of design, with ongoing consultation at every stage of the project. We also pride ourselves on good customer service following completion of your new bathroom or wet room. As a specialist bathroom fitting service, Rhombus Bathroom Fitting complete a large number of bathrooms and wet rooms every year. For our property rental customers we provide small functional and cost effective options. On the flip side we create stylist and beautiful walk in shower rooms for private customers, who want a pleasing comfortable space, beautiful yet practical. The main type is your standard family bathroom, downstairs additional toilet and en-suite with just shower or sometimes bath as well. All have a combinaltion of bath, toilet, basin, cupboards and possibly a shower. 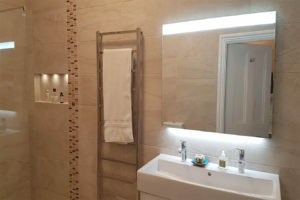 We do small cost effective bathrooms for rental accommodation and large luxurious bathrooms with twin basins and large walk in level access showers. 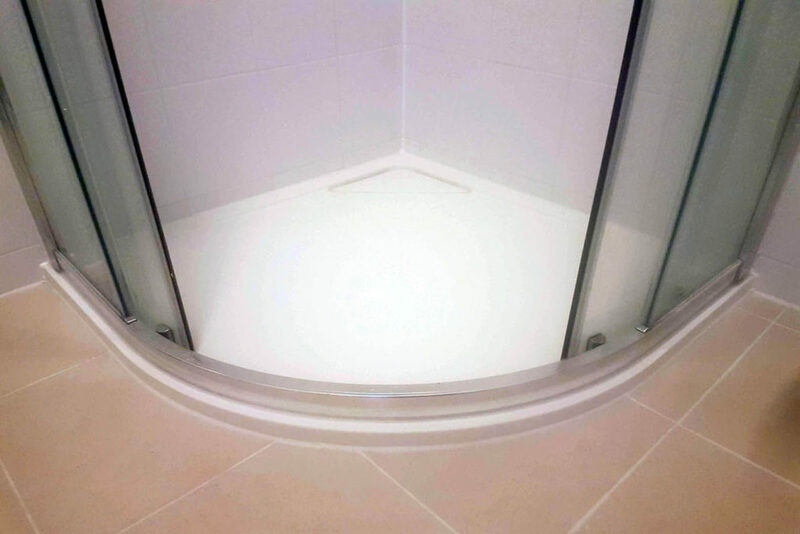 We do a large number of customer specific shower rooms and these come in a few different varieties, step in showers, low level showers and walk in level access showers. The first thing to understand is what’s the difference between step in showers and low level showers. This will be especially important if the bathroom is to be used by a disabled or elderly person. Disabled, Elderly and Wheel Chair Specific Bath and Shower Rooms. A lot of people have specific needs when it comes to their personal hygiene. Whether disabled, elderly or wheel chair bound we are here to help. This is where our service can come into it’s own in providing a bespoke bath or shower room to suit a customers specific requirements. We do a lot of work in this area of providing specialist bath and shower rooms and design something that will give ease of use to the user. If you have specific needs we’d be happy to come and discuss your requirements. When planning your new bathroom or shower room there are several things to consider, so it is always best to have an initial consultation with us so we can suggest what options are available to you. If you need a small job done like fitting a new basin and toilet or plastering some ceilings just give us a call. We have all the main building trades in houses so are happy to quote for these smaller jobs as well. Just give us a call! The main thing is we are passionate about the work we do. We like to provide a quality service and exceeding ALL our customer expectations. Fitting beautiful bathrooms and wet rooms is what we love to do and we can’t wait to get started on your next project in Romsey, Winchester or Southampton! At Rhombus Bathroom Fitting we welcome our customer’s feedback and suggestions, and we’d love to hear from you. 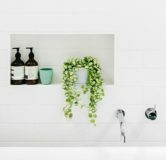 If you are interested in having a chatting about your next bathroom project please use the form below to get in touch!